This is a recipe I’ve been planning on posting for some time now. The biggest thing holding me back was the fact that the dish just isn’t photogenic. I’ve decided I don’t care anymore and think it’s worth sharing. The original recipe is from The American Country Inn and Bed & Breakfast Cookbook. It was served at an inn in Virgina. I would have guessed Oregon since they grow a good amount of hazelnuts, shows what I know! I never would have thought to add hazelnuts to potatoes if I hadn’t seen the recipe. People add pecans into sweet potato casseroles so why not hazelnuts in with some red potatoes?! Besides, any excuse to cook with Frangelico works for me! This entry was posted in Side Dishes and tagged caramelized onions, easy, Frangelico, hazelnuts, potatoes on February 9, 2016 by Gretchen. Another apple recipe! We are still working on our large supply of apples and loving every bite of them. This recipe came from a friend when my first two boys were about one and two years old. They were big bean lovers. We started giving them beans shortly after they started solids. They are a great source of fiber, protein, easy to prepare and economical. 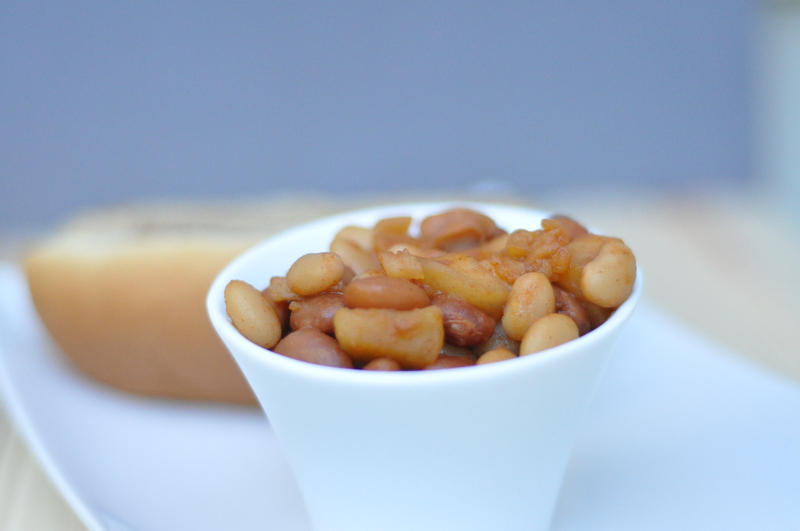 This entry was posted in Side Dishes and tagged apples, easy, gluten free, great northern beans, high fiber, high protein, kid friendly, pinto beans, quick, vegetarian on November 5, 2013 by Gretchen.